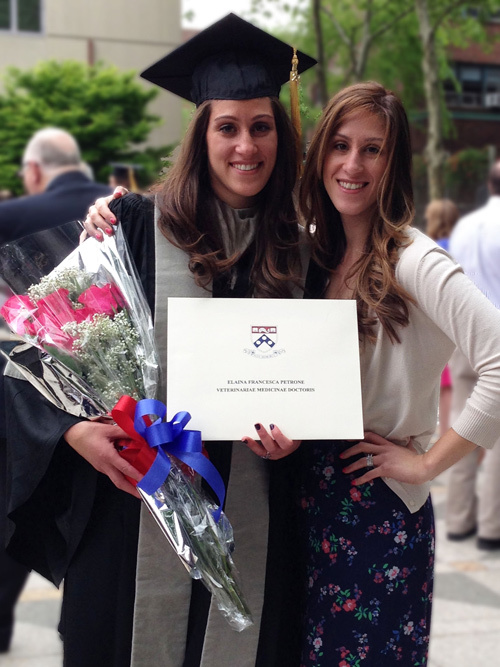 Twin sisters Elaina ’09 and Gianna ’09 Petrone shared a lot growing up in Cranston, R.I., including career aspirations. These dreams recently became realities when they both graduated from medical school, just five years after being the first in their family to graduate from college. 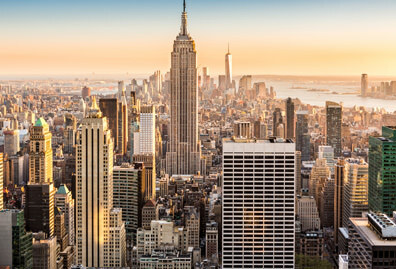 Elaina attended the University of Pennsylvania in Philadelphia for veterinary medicine, while Gianna went to the University of New England College of Osteopathic Medicine in Biddeford, Maine, to become an emergency room doctor. Arriving at Manhattan in 2005 as freshmen, both sisters decided to major in biology and minor in chemistry. A course that further motivated Elaina to pursue veterinary school was Animal Behavior, taught by Patrick Thomas, Ph.D., general curator and associate director of the Bronx Zoo. The course resulted in a volunteer opportunity for her at the zoo. Both twins also highlighted Micro, Molecular and Cell Biology as critical courses they took during college, which helped prepare them for medical and veterinary school. The two of them also conducted research − Gianna with Quentin Machingo, Ph.D., assistant professor of biology, and Elaina with Lance Evans, Ph.D., professor of biology. 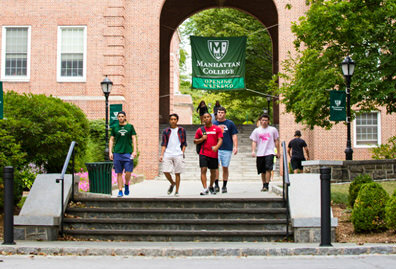 While at Manhattan, they were both active in honor societies, including Beta Beta Beta (biology) and Sigma Xi, which encourages research in the sciences. In addition, they lived together three out of their four years on campus. After graduating from Manhattan in 2009, Elaina and Gianna both took a gap year off to apply to medical and veterinary schools. One year later, the twins began new chapters in Philadelphia and Biddeford. 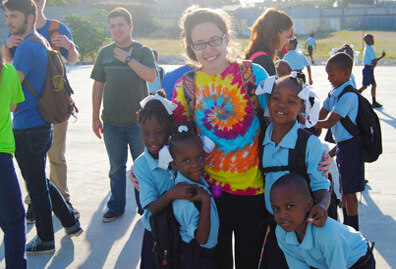 “Medical school is everything they say it is: demanding, difficult, frustrating and rewarding,” Gianna explains. 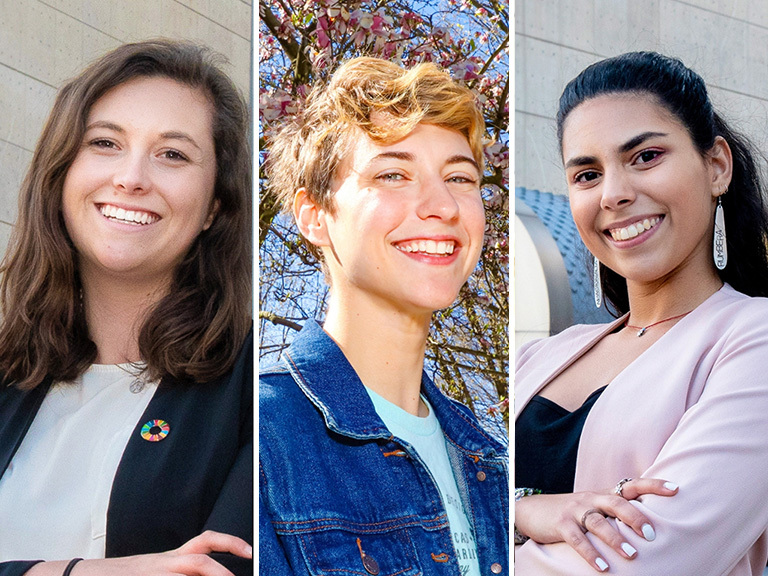 “Once my final year started, and I was participating in clinics and was under the supervision of the doctors, I was excited to start using everything I had learned in the last few years,” Elaina adds. 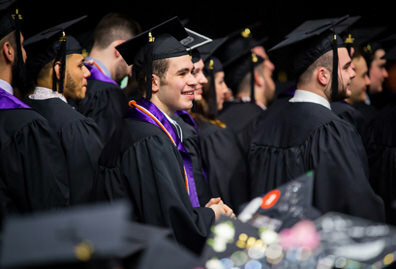 The Petrone family celebrated two important milestones in the twins’ lives just days apart, as they graduated on May 16 and 19. 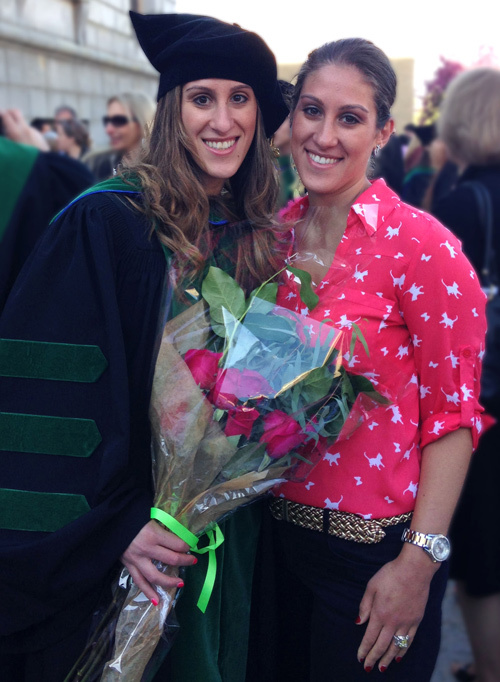 Now, Elaina and Gianna prepare to embark on another new chapter with the start of their residency programs. Elaina will work as a rotating intern with a focus on general practice at Oradell Animal Hospital in Paramus, N.J., and Gianna will start a four-year residency in emergency medicine at Kent County Hospital in Warwick, R.I. Although the twins are once again separated by distance, they communicate frequently by phone calls and texts during long days and night shifts. 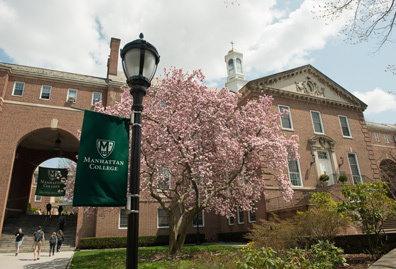 The two Jaspers agree that their experiences at Manhattan were what prepared them for medical school and their next chapters as doctors.